Colijn: I brought the CD ‘First Time Out’ by Clare Fischer. 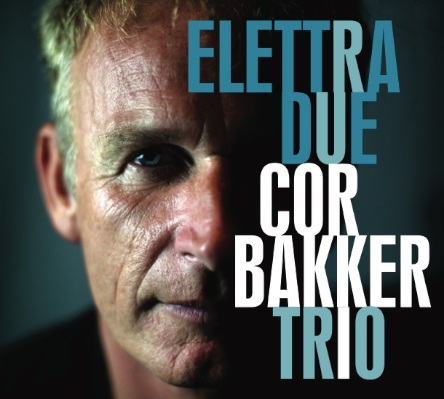 Cor Bakker: His first LP is great, definitely – that one changed my life! That sounds like a religious experience, and it almost was! When I studied at the conservatory of Amsterdam, in 1980, I followed classes by Niko Langenhuijsen. I liked him as a teacher, because he always knew how to inspire me, when I was stuck at a project. There comes a time in the creative process, when you can’t make any progress anymore. That’s when you need someone who gives you new material to work with. Niko used to give me new articles and advices. Like: ‘Just let it rest for a whole week!’ Because I also could be way to bizzy, in the unhealthy way. He once gave me the first LP by Clare Fischer: ‘First Time Out.’ When I started listening, I wasn’t that blown away, until song number 8: ‘I Love You’ came on! I heard his solo, and I felt like I had found myself! That may sound weird, and maybe even a little arrogant, because Clare is amazing of course. But the way he played, was how I had heard music in my head for over years. I only had never been able to get it out like that, while I had listened to real heroes, like Oscar Peterson en Chick Corea. Nobody could affect me like Clare Fischer did. Colijn: Louis van Dijk is also a youth hero or yours, right? Well, he couldn’t be any clearer, and I’ve been playing with him for 15 years now. 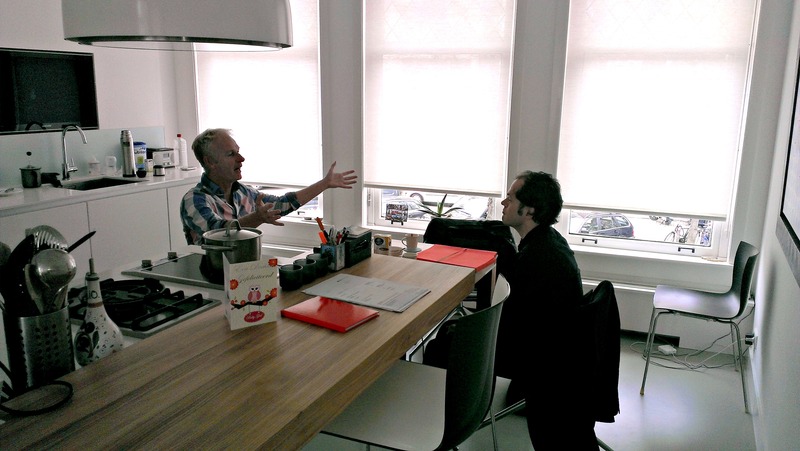 Together we produced: ‘… visits Cor Bakker’, a television show for channel MAX. In this show I have different big names from the Dutch music business over, to interview them. Colijn: Do you think music, like Clare Fischer’s, could be able to reach more people and get more and more public by using the right marketing? Cor Bakker: I’m afraid not. A statement by Clare says: ‘You can’t hear what you can’t understand.’ I really like his point of view. It’s because you need well developed hearing to appreciate this kind of music. I don’t think it will be music for a bigger audience with what kind of marketing so ever. While I find the music that Fischer creates actually very accessible. But I just don’t think that it’s possible for everyone to like it. Tastes differ, and that’s a good thing! That way this music stays an exception, like high cuisine. Colijn: What were you looking for while composing your own pieces for ‘Elettra’ and ‘Elettra II’? Cor Bakker: I actually don’t feel like a composer at all, I’m not like that. Sometimes I just write down small ideas, and I’ve always dreamed of touring Italy with a trio. Nienke felt that I had to do that, but I always postponed it. Eventually she just booked the tickets and that way forced me to write. I had only two weeks left, and had nothing done. Well the panic had started. Nothing was good enough, I threw every idea away, until I arrived in Italy. At the Bed & Breakfast room they had a very small piano. So I locked myself up, three days before the guys would be there, and I finally wrote 18 pieces. Do you recognize it too, that writing under pressure gives you some kind of a ‘writingboost’? I do really like playing in a trio by the way! Read more? Listen to a track of Cor’s newest cd ‘Elettra II’? Read the complete interview in our Online Music Magazine! Try it out – now for only 2 euros!